UFC interim welterweight champion Carlos Condit knows exactly what he’s stepping into when he squares off with returning titleholder Georges St-Pierre at UFC 154 on Nov. 17 in Montreal. He’s stepping into a fight with greatness. But as the saying goes, to be the man, you’ve got to beat the man. 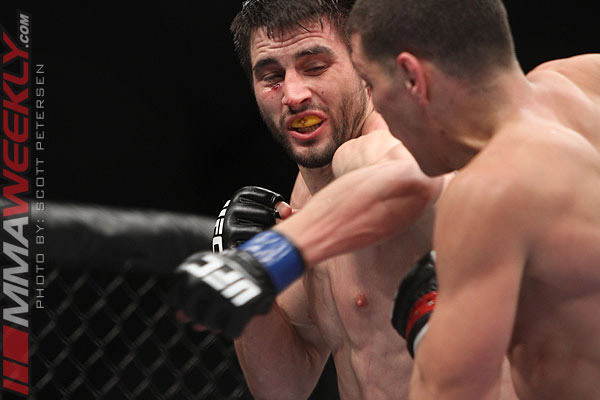 That’s exactly what Condit wants to do, not shying away from his Jackson/Winkeljohn teammate. “He’s the best in the world. He’s one of the best the sport has ever seen,” Condit readily admitted in a recent UFC interview. 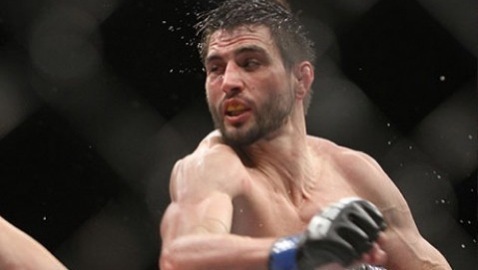 Also the former WEC welterweight champion, Condit has been nothing short of stellar in his UFC tenure. 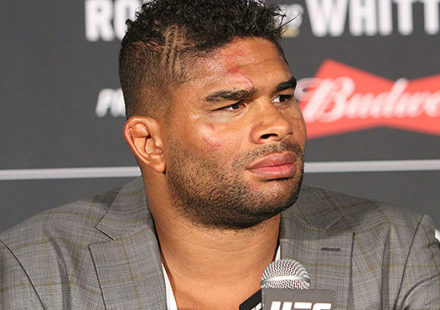 After losing a narrow split decision to Martin Kampmann in his UFC debut – his only defeat since 2006 – Condit earned his way into the title unification bout with St-Pierre by winning five consecutive fights. His victims form an impressive list: Jake Ellenberger, Rory MacDonald, Dan Hardy, Dong Hyun Kim, and Nick Diaz. As he said, however, St-Pierre has been at the top of the sport for a long time and is widely regarded as one of the top two or three pound-for-pound fighters on the planet. And who wouldn’t want to be in such a fight? If he loses to St-Pierre, it will be heartbreaking, but there would be no shame in it. 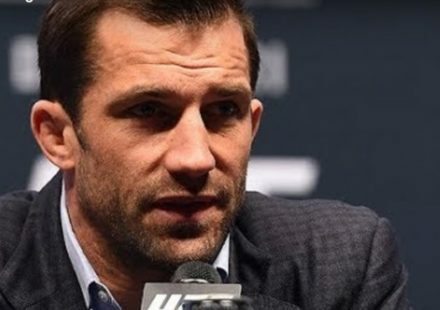 If, on the other hand, he defeats St-Pierre, Condit etches his name in history not only for defeating one of the greats, but also as one of the most accomplished fighters in the world himself. 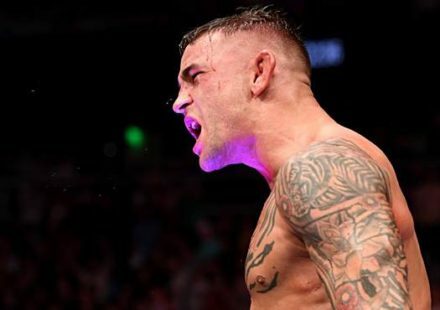 St-Pierre has been on the sidelines nursing injuries since April 2011, while Condit has fought twice since that time, reigniting the fire inside. 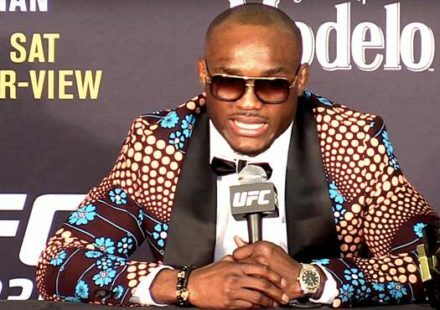 He says he is the best he’s ever been, with a renewed desire to not only compete, but reinvent himself each time he steps into the cage. Not a bad position to find himself in as he heads into a bout that can be the tipping point of taking a career from impressive to epic. Carlos Condit and Geroges St-Pierre square off in the UFC 154 main event on Nov. 17 at the Bell Centre in Montreal. Stay tuned to MMAWeekly.com for all of your UFC 154 news and fight coverage.